What does the partnership of Jeff Bezos, Jamie Dimon, and Warren Buffett mean for health care? It means disruption is at the doorstep—disruption that will be driven by data. If there's one certainty about the Darwinian future of health care, it's that those able to harness the possibilities of focus and technology will eventually prevail. And providers who can make targeted use of the troves of data at their fingertips will have the agility to thrive in a fast-changing industry ripe for disruption. Hospitals are not only exponentially expanding their internal data collection, but they also are tapping into national databases giving them the power to rapidly identify weaknesses and develop targeted solutions—provided they know how to use it. It's no surprise that big tech is doing the same. Amazon, Apple, and Google have made the biggest splash recently, but companies such as Salesforce, IBM, and Microsoft have also been expanding their health care ambitions. This has led many hospitals to make massive investments in developing IT and data infrastructure from the ground up. Yet by the time these systems are operational and integrated into a hospital's workflow, they are often outdated and there are new requirements for data that weren't part of the original scope of the project that cause another wave of solution development. The point is it never stops, and internal development is costly and never fast enough. Hospitals would be better off identifying the technology companies most capable of servicing their needs and outsourcing some of the data innovation, finding partners that not only introduce new solutions but offer lasting solutions by engaging clinical, technology, and data scientist teams in the design and providing ongoing support during implementation and ongoing management. Change is not a one-time investment; for forward-thinking health systems it's an ongoing process that requires relentless self-examination and constant vigilance. Health systems can't compete with Silicon Valley's global network of cloud platforms and army of expensive data scientists on the tech frontier, just like Apple and Amazon are in no position to compete when it comes to clinical care. Health systems that try to replicate Silicon Valley smarts are ignoring a lesson that corporate America learned years ago: Companies that attempt to do everything excel at nothing and fail slowly vs failing fast. Even companies such as Amazon and Google may appear to do everything, but when it comes to their core businesses—an online retail platform and a search engine, respectively—they are laser focused at being the best at where the bulk of their revenue comes from and their core competency. Health systems that understand this lesson will ask themselves what obstacles doctors face in delivering high-quality care and then make the necessary investments in equipment and technology to overcome those hurdles and support their future vision for ongoing care improvement. The lesson cuts both ways. Google, the biggest tech company in the world, learned years ago that overhauling health care will not be a solo endeavor. The company aborted its Google Health platform in 2011 due to slow patient uptake, in no small part because it was developed without the intimate involvement of clinicians. It's no wonder that Google's latest health care effort, Cloud Healthcare API, seeks to apply cloud technology exactly where medical providers need it right now—in aggregating medical data to capitalize on the opportunities and requirements of interoperability. Google lined up prominent health care partners early in the process, putting physicians in a position to drive change and facilitate adoption. As America's health care system continues a radical shift to value-based care, and hospitals make the necessary pivot from fee for service-based to outcome-based thinking, there's a huge opportunity to refocus organization priorities. Hospitals that have drifted from their core business of care have a chance to strategically use partners for noncore operations and build a dynamic network of partners with particular expertise, working toward a common goal of improving patient care while managing the cost. The agility and processing power of analytic platforms, together with the brain power of leading medical and technology experts, is allowing hospitals to gain insights into how to be proactive in care management and share care pathways across physician groups so that costs are managed and proven clinical processes are used as a guideline for providing the best possible care. Physicians need the data and transparency to learn from one another and be proactive as they plan for managing their patient populations. Deciding to reorient around clinical care outcomes is the first step in this transformation, but making that happen is far more complicated—which helps explain why many hospitals are struggling to evolve from a fee for service-based approach. If clinicians aren't able to link interventions with outcomes, it's tempting to resort to standard methods of relying only on their experiences of care as opposed to having data available to them to show options for care. Data are allowing care providers to step back from specific procedures and processes to see a full picture of what's happening across departments and communities, to understand how each factor relates to a thousand others, including social determinants. Turned inward, they can't identify why patients are returning and where change is needed. Turned outward, it can help a clinic understand the needs of the large populations to deliver the most valuable care possible. Data can provide the sort of information that allows huge organizations to make quick, smart decisions while at the same time making them more agile. But data can also be a burden, which is why hospitals need to find partners who know how to use data, as well as how to use innovation to empower medical professionals to do their jobs better. The need for focus and agility aren't particularly new, especially in the corporate world, but too many hospitals have been slow in putting necessary systems into practice or have tried to start from scratch in developing technology solutions. Now the race is on. The technology exists, it's just a question of how quickly hospitals can integrate it into their operations and how prepared they are to apply the tools of tomorrow. The data revolution has started but even with the biggest companies involved, change will be gradual. 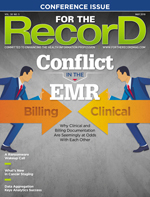 Efforts to expand interoperability, for example, have been able to move only as fast as medical records are digitized. Figuring out how to extract meaning from these interconnected data silos and create value from that are challenges that we are only beginning to explore. While some hospitals are out ahead by realizing they should harness the power of data to deliver better care, too many may find themselves pushed to the side as Silicon Valley's masters of data and customer experience create their own systems. Big tech won't do it alone, but hospitals that resist the forces of change and ignore the need for agility won't be around to see how it plays out. — Sheila Talton is president and CEO of Gray Matter Analytics and serves on the boards of companies and nonprofits such as Deere & Co, Wintrust Financial Corp, and Chicago's Northwestern Memorial Hospital Foundation.